Jason Grant Miller, 44, of fort Mitchell, AL passed away on Wednesday, August 29, 2018 at his home in Fort Mitchell. Jason was born May 7, 1974 in Hillsboro, OR to Albert William Miller and Peggy Jeanette Morehouse Miller. He was the owner /operator of Roto-Rooter services in Columbus, GA. He was a member of the Columbus, Georgia Chapter Iron Cross Motorcycle Club. Jason was passionate about his love for his wife and his children, he loved spending quality time and sharing special moments with his family. 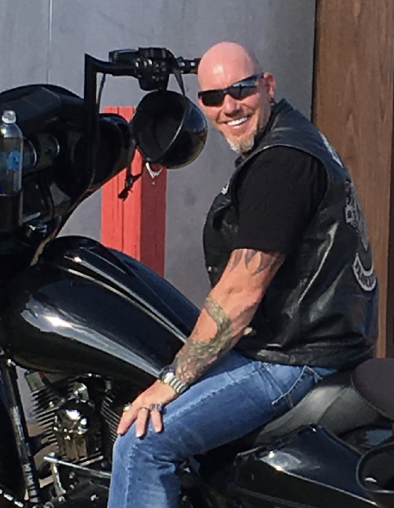 He enjoyed his motorcycle club, and the freedom of the open road and ventures that it brought. Other than his parents, Albert and Peggy Miller, he is survived by his loving wife, Rita Ann Dibble Miller, daughter, Marisa Dibble, and son, Jacob Busby, one sister, Julie Miller, three brothers, John Miller and wife Kimberly, James Miller and wife Amy, and Justin Miller and wife Ashley, mother-in-law, Ann Dibble, and a brother-in-law, Bobby Dibble and wife Kimberly, and his many brothers and sisters of the Iron Cross along with host of many caring friends. A celebration of life memorial service will take place on Wednesday, September 5, 2018 at 2:00 pm EST at the Tavern in Columbus, GA. In lieu of flowers, the family request donations to the Jason Miller Memorial Fund at Sun Trust Bank.